High five! Lamborghini, which is enjoying record growth for the sixth consecutive year, recently inaugurated its fifth dealership in Canada. Operated by Grand Touring Automobiles, Lamborghini Downtown Toronto is strategically located on Dundas St. East in the centre of Toronto’s bustling business district, overlooking Don Valley Parkway. 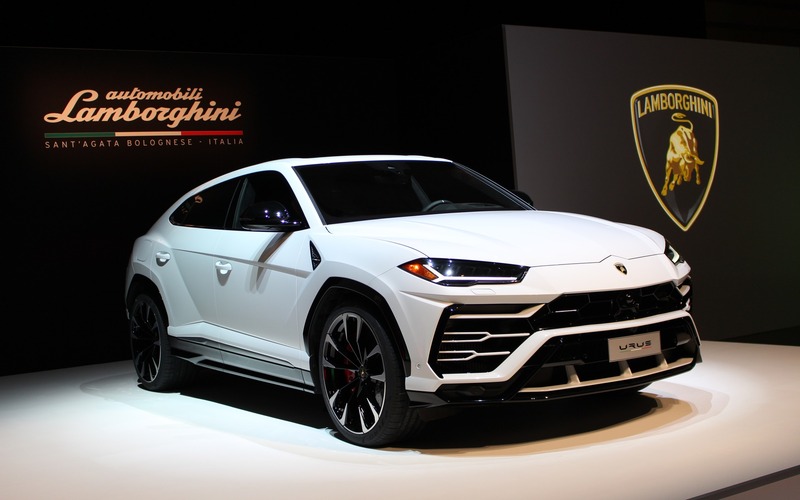 As the luxury segment keeps converting buyers, and with fresh products like the all-new Urus performance SUV drawing plenty of attention (more details below), the Italian brand is expected to continue on its steady rise of sales across Canada, its fifth largest market worldwide. The showroom at Lamborghini Downtown Toronto reflects the brand’s new corporate identity with modern and cutting-edge aesthetics as well as a 360-degree retail experience for customers. You’ll also find a dedicated Ad personam customization area. As previously mentioned, the Aventador and Huracán supercars are now joined by the new 2019 Lamborghini Urus SUV, which we covered when it made its first appearance in Canada during a private event at the Design Exchange museum in Toronto this past winter. Housing the company’s first turbocharged engine, namely a 4.0-litre V8 that develops 650 horsepower and 627 pound-feet of torque, the five-passenger Urus reportedly sprints from 0 to 100 km/h in 3.6 seconds. It also boasts aluminum and high-strength steel construction, four-wheel steering, adaptive air suspension, carbon ceramic brakes and 21-inch alloy wheels. Urus customers are expected to begin taking delivery in late summer at a suggested retail price of $232,000. As for the other Lamborghini dealerships in Canada, they are located in Vaughan (Toronto), Kirkland (Montreal), Calgary and Vancouver.